In the modern business world everyone depends on technology in the office, no matter how small your business is. As such, the decisions you make regarding the technology you depend on to do business are more important than you may think. Not being smart when it comes to your company’s IT situation can create pitfalls that prevent you from being as successful as you could be. • Failing to Protect Your Data – Your company’s data is invaluable, so there is no excuse for not keeping that information safe and sound. 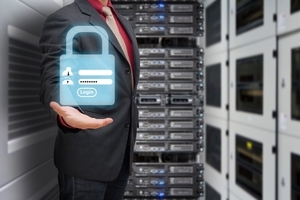 Is your confidential data safeguarded against potential security breaches? Are you prepared for an emergency, such as theft, fire, flood, or server failure? Are your files and records backed up for disaster recovery purposes? Adequately protecting your data includes physical security (a firewall), network security (anti-virus/spyware), and backing up your information. In addition, regularly educate and update your employees about Internet and mobile security and safety. • Not Changing with the Times – Technology is always changing, and businesses must keep up on the latest innovations and products to stay ahead of the competition. Keeping current with the latest technologies can help prevent your company from ending up with outdated, inefficient equipment and software. • Choosing the Wrong IT Provider – The right IT provider doesn’t just sell you equipment; they manage that equipment, as well. They have the goals of your company in mind and proactively provide solutions to help you achieve those goals. • Employing Unreasonable Password Requirements – Passwords are essential, but your password policy must be reasonable to be effective. While weak or non-existent passwords are unacceptable, making your requirements so strict that employees must resort to writing passwords on sticky notes undermines your policy. • Leaving Everything in One Employee’s Hands – You might be impressed that a single person in your office knows all of your passwords and how everything works, but you could be setting yourself up for an enormous problem. What would you do if that employee decided to leave, or became incapacitated due to illness or injury? As the saying goes, don’t put all of your eggs in one basket. Don’t fall into the same traps that many small businesses do when it comes to managing their IT. Avoid these common mistakes to help keep your company up and running as efficiently as possible. For more information about MOM’s IT Services, visit our website at www.momnet.com/Managed-Network-Services.